This hasn’t been a good week for Steelers head coach Mike Tomlin following his team’s 24-21 playoff-damaging loss to the 2-10 (now 3-10) Raiders last Sunday at Oakland Alameda County Coliseum. 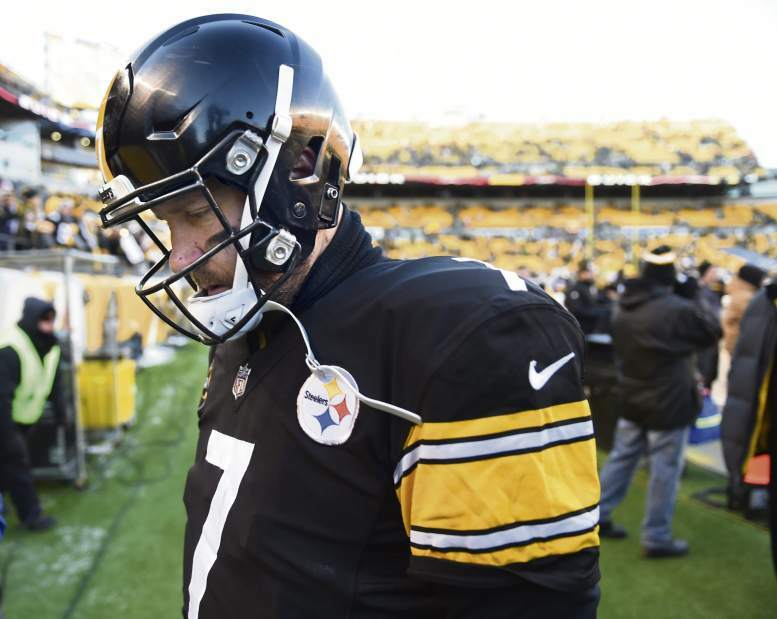 In addition to coming under fire for yet another road loss to a heavy underdog (Pittsburgh was favored by 11.5 points), Mike Tomlin is feeling media, fan and even former player wrath for his coaching decisions in Oakland that included keeping his franchise quarterback, Ben Roethlisberger, stationed on the sidelines for the majority of the second half after he sustained bruised ribs late in the second quarter. That’s one of the acute coaching symptoms that has the masses in an uproar this week. A chronic symptom would be Mike Tomlin’s poor clock-management skills as evidenced by his failure to properly use his timeouts when the Raiders had a first and goal with less than two minutes remaining and were driving for what turned out to be the game-winning touchdown. Then, of course, there’s Mike Tomlin’s inability to rebuild the defense as well as his team’s perceived lack of discipline and preparation. 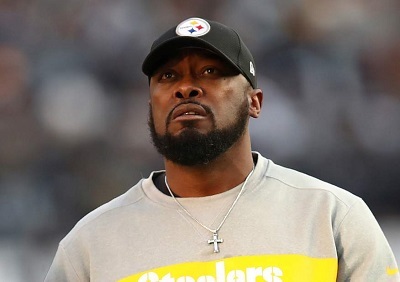 Should Tomlin be fired as head coach of the Pittsburgh Steelers? Should he, at the very least, be placed firmly, and uncomfortably, on the hot seat? If you’re a long-time detractor of Mike Tomlin, this week has probably been heavenly bliss, considering both questions have been asked ad nauseam. However, if you’re also a long-time supporter of the Steelers, you better hope Mike Tomlin can pull off perhaps his best coaching job over the final three weeks of the regular season. 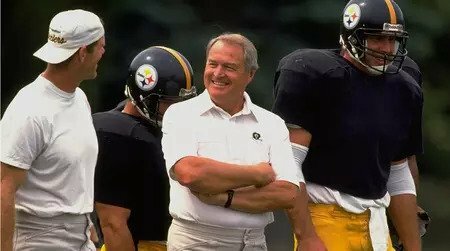 Because, no matter what you may think of the man, his body of work speaks for itself, and he certainly didn’t amass such a lofty resume — one that includes 11-straight non-losing seasons, six AFC North titles, two AFC championships and a Lombardi trophy — by accident. In other words, Mike Tomlin may be in a coaching slump these days, but he’s certainly more than capable of coaching his football teams out of funks, something he’s been able to do time and time again. The jury may still be out on 2018, but Tomlin never lost a football team in the past, not after his franchise quarterback got suspended to start the 2010 season; not after his football team started 0-4 and 2-6 to begin the 2013 season. And that brings me to the next two games, and the huge challenge Mike Tomlin and his charges face. 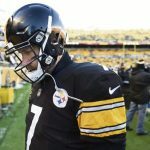 Losers of three-straight games, the Steelers (7-5-1) may still occupy first place in the AFC North by a half-a-game over the Ravens, but with match-ups against perennial juggernaut New England this week and 2018 buzz-saw New Orleans in Week 16 looming on the horizon, that lead seems tenuous and temporary. But while Mike Tomlin’s reputation for having his team’s ill-prepared against huge underdogs is well-founded (since Tomlin became the Steelers head coach in 2007, road teams favored by nine points or more are 58-15, with Pittsburgh accounting for five of those losses), his reputation for having his guys ready to play against marquee opponents is also legit. That goes back to never losing a locker room or your football team. That’s all about knowing how to circle the wagons. That’s all about knowing how to come out swinging when your back is firmly against the wall. That’s all about never blinking in the face of adversity. The Steelers face some serious adversity right now. How will they respond? At the moment, very few people give Pittsburgh a chance to defeat New England this week, which is unfortunate since the 2018 version seems vastly inferior to many Patriots teams of yesterday. The Patriots mystique is a strong one: “Oh no, the Patriots are going to be fighting mad after losing to the Dolphins!” However, the 2018 Patriots are more myth than they are reality. 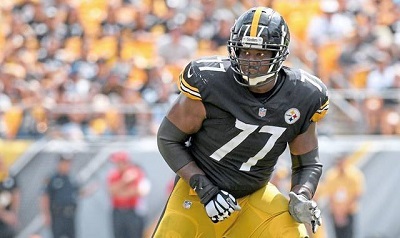 They’re definitely ripe for the picking, and if the Steelers were rolling the way they were in 2017, no doubt you’d have to like their chances. But with the exception of last season, when they came into the match-up riding an eight-game winning-streak, the Steelers never seem to play New England at the right time. Three years ago, it was as the dreaded road team in the Thursday night regular season kickoff in Week 1. 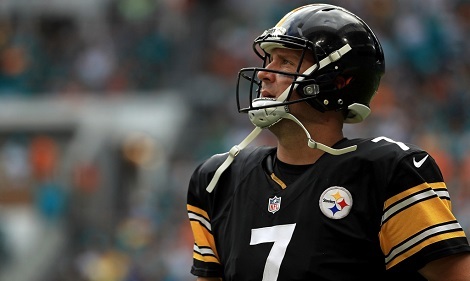 A year later, the match-up with the Patriots came one week after Ben Roethlisberger suffered a torn meniscus in a game against the Dolphins, thrusting Landry Jones into the starting lineup. And, obviously, this season, the match-up takes place when the Steelers seem to be in an irreversible death spiral. Can the Steelers stop their slide in time and do so by knocking off legitimate Super Bowl contenders in the process? If they do, this will likely lead to a playoff spot. And if it leads to a playoff spot, Mike Tomlin might finally be worthy of your praise. Will you give it to him? It doesn’t really matter at this point. What matters is whether or not Mike Tomlin can pull off a coaching performance befitting his coaching resume. The Steelers 2018 season depends on it. The Steelers took on the Titans at Heinz Field on Saturday afternoon in the (say it with me) all-important third preseason. With the exception of a key superstar or two, all of the starters played for Pittsburgh, and the performance and results looked more akin to a Super Bowl contender than they did the previous week in Green Bay. T.J. Watt continued to sit out with a hamstring injury, and it was a quiet afternoon for Bud Dupree. However, Olasunkanmi Adeniyi continued to make a strong case to make the final cut, as he recorded yet another sack this preseason. Fellow outside linebacker-hopeful, Farrington Huguenin, was also pretty active and contributed with a sack of his own. 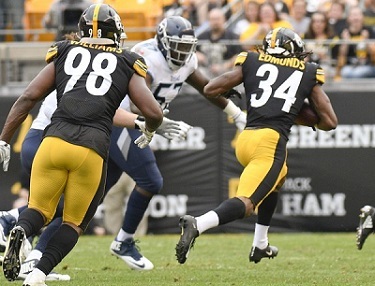 As for the inside linebacker spot, Vince Williams celebrated his new contract by tallying three tackles and a sack before exiting for the afternoon. As has become the case in recent seasons, L.J. Fort looked solid when given playing time. It was a decent day for veteran punter Jordan Berry, as he averaged 43.5 yards on two punts. But it was an even better day for backup Matt Wile, who averaged 48.7 yards on three boots. As for the kicking situation, Chris Boswell continued his ascension to the top of the NFL at his position, making all three of his field goal attempts–including a 45-yarder. As for the coverage unit, if he can’t find his way to the top of the inside linebacker depth chart, Tyler Matakevich might one day find himself in Honolulu for his ability to be a special teams demon, as he was the first one downfield to stymie Titan punt returners on more than one occasion. Nat Berhe, who was brought in for that specific purpose, made a play that drew drew a congratulatory helmet slap from head coach Mike Tomlin immediately afterward. 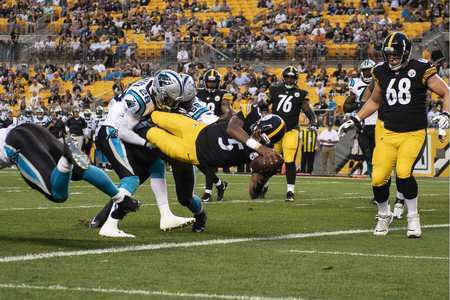 The Pittsburgh Steelers opened their 2018 preseason campaign against the defending Super Bowl Champion Philadelphia Eagles. Here is their Report Card. As has become the custom the past few summers, 15-year and future Hall of Fame quarterback Ben Roethlisberger didn’t start the Steelers preseason opener against the Eagles at Lincoln Financial Field on Thursday night. Ben Roethlisberger’s remarks on Mason Rudolph have put the Steelers signal caller firmly into the news. 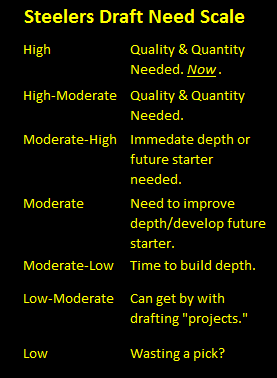 Given where we are in the off season, its all that anyone in Steelers Nation is talking about. OF all of Roethlisberger’s remarks on Rudolph, his assertion in bold is likeliest to elicit a “Well, he’s got a point there” nod from even his harshest critics. Because on the surface it’s hard to dispute his logic. After all, third string quarterbacks don’t do much, even in practice, right? Third string quarterbacks rarely earn even footnotes in football history. For most of their history, the Steelers offer no exception. When was the last time you saw a parent-child combo strutting around Heinz Field sporting Rick Strom and Brian St. Pierre jerseys on throwback weekend? 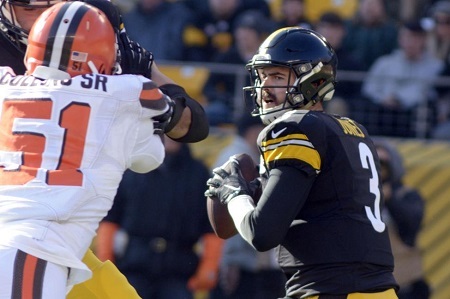 But in this case, experience trumps logic, and Ben’s own history with the Steelers shows his claim about Steelers 3rd string quarterbacks is wrong. Think back to the Steelers 2005 season that culminated with victory in Super Bowl XL. 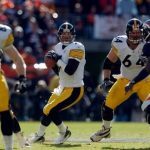 That Super Bowl season saw the Steelers start their third string quarterback twice, as Tommy Maddox and Charlie Batch started four games that season. Its almost certainly as coincidental as it is ironic but Steelers third string quarterbacks have enjoyed their moment in the sun during the Roethlisberger era. Just looking at the math, during the Roethlisberger era about every third season has seen a Steelers third string quarterbacks suit up as a starter…. …And two full seasons have elapsed since that last occurred. 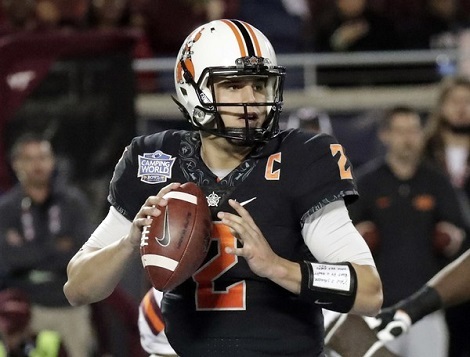 Past performance may not predict future results, but it would behoove Ben Roethlisberger to do what he can to get Mason Rudolph ready to play sooner rather than later.